Israeli Prime Minister Benjamin Netanyahu is under intense pressure to resign following a recommendation of indictment by Israeli police on multiple allegations of bribery. The claims include a failed plan to build a Tata Motors production plant in a newly established free trade zone. The allegations against Netanyahu are the result of police investigations for bribery and corruption, which include an unofficial agreement between Prime Minister Netanyahu, billionaire Arnon Milchin and his business partner, Ratan Tata, to establish the Tata Motors plant, according to Haaretz. In late 2009, according to a number of sources, Milchan met with Netanyahu and outlined the plan at length. The free-trade zone would employ Palestinians, Israelis and Jordanians, all making cheap cars that would be sold mainly to the Arab world. Tata was prepared to invest hundreds of millions of dollars in the venture, Milchan said. Netanyahu liked the idea. During a subsequent meeting in 2010, representatives of Tata Motors—the Indian company behind Jaguar and Land Rover—complained to Israeli officials about the lack of progress on the proposed plant, but a preliminary feasibility study by the Israeli government was ultimately never established. 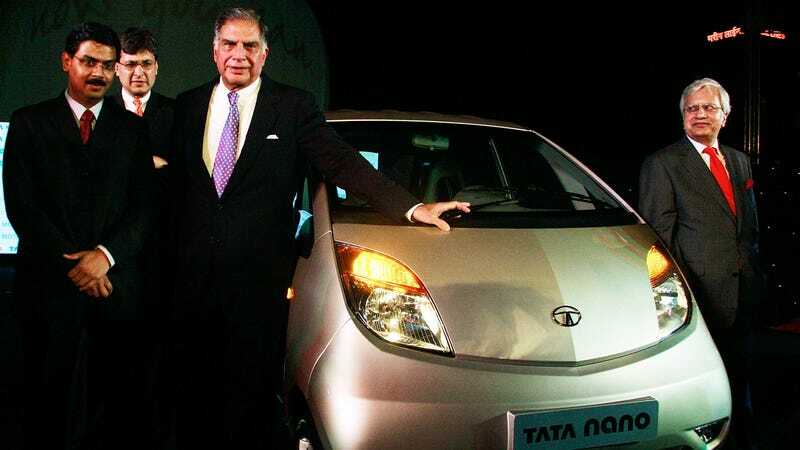 Ratan Tata, who was the Chairman of Tata Group at the time of the proposed deal, told police that the proposal was part of a “peace initiative,” according to the report. Tata later claimed that the Prime Minister was never meant to profit directly from the production plant. Police claim Netanyahu continued to push the proposal despite opposition from within his office. The failed Tata plant is only one charge in a flurry of accusations from Israeli police, which include bribes to the Prime Minster totaling close to a claimed $300,000 in value, according to The New York Times. Netanyahu has not denied accepting the gifts implicated in the police investigations, and said he has no intention of resigning. Israeli Attorney General Avichai Mandelblit says he had been involved in the police probes, and was prepared to do things “by the book,” according to The Jerusalem Post. The Attorney General said an indictment decision would only be made after review of all of the evidence.